Experience is critical for a successful real estate agent. So is skill at negotiating and training. Marti has both the industry experience since 1989 and ongoing specialized training and professional development. Whether it’s the latest marketing concepts, brilliant staging, creative financing angles, or cutting edge technological advancements, Marti is on top of it! That allows her to give you insight into the market that most other agents can’t match. Knowledge. Skill. Synergy. That, along with the belief and enthusiasm to get you to your goals in a way that’s optimum, not just average. That’s what Marti can offer you. #1 Individual Agent In All Of Re/Max Professionals Inc. 2013. She is Past President and a longstanding member of the First Etobicoke Chapter of Business Network International. 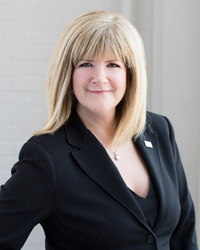 Marti has been a guest speaker at the Canadian National Convention, offering insights and helping out fellow Realtors from across the country. Marti is showcased in the Distinctive Women Magazine..a publication distributed in The Globe And Mail which highlights women in business across the country. Concerned about her community, Marti is an eager participant and volunteer in annual local events; Food Drives, Fundraising, Dinner Dances, and The Run For The Cure for Breast Cancer. The most prominent Charity that Marti contributes to is linked to the “Miracle Home Program”. Every time Marti sells a home, she donates money to Toronto’s Hospital For Sick Children. On a lighter note, Marti, along with 3 other Re/Max agents stepped into a recording studio in 2002 to record a CD entitled “On the Cover of the Re/Max Times”. They performed live in Niagara Falls at the Canadian Convention and again at the MGM Grand in Las Vegas at the International Convention. Marti resides happily in Toronto with her two incredible boys Evan and Ben and their adorable dog, Jasmine! !